First Presbyterian Church in the Stadium District of Tacoma, Washington, is a huge and majestic brick building with beautiful architectural details. The brick arch framing this bride and groom, who are laughing during our pre-ceremony photo shoot, is part of the sheltered walkway between the main sanctuary and the school building next door. 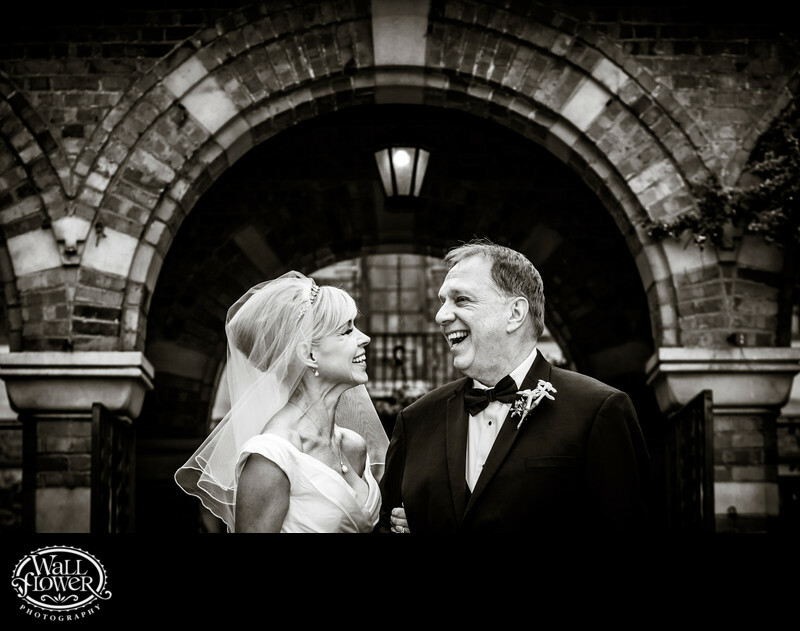 The black and white effect helps make this photo more about the couple's expressions and the detail in the brickwork. This wedding was featured in an issue of South Sound Wedding and Event Magazine.